Diabetes is a condition in which the body does not make enough insulin to help the glucose from the food one eats to get into the body’s cells. Diabetes can lead to serious health problems in cases where it is not managed properly. These include heart disease, blindness, kidney failure and amputation of a limb. 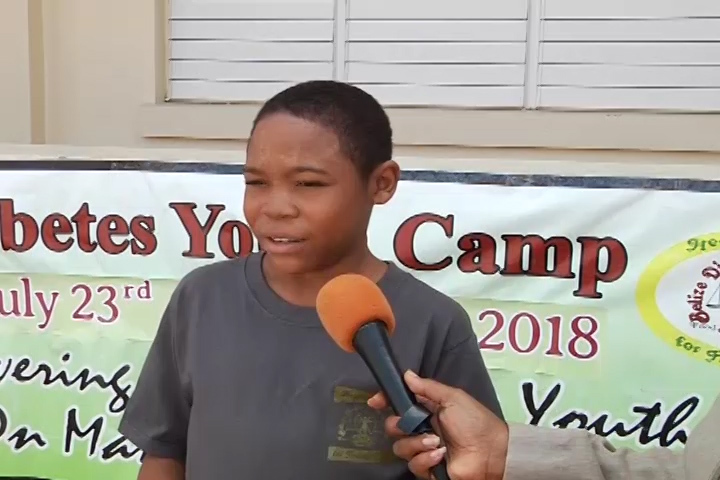 The Belize Diabetes Association is holding its annual camp where youths are being educated on how to manage their diabetes. William Dawson, the Public Relations Officer of the Belize Diabetes Association told us why it is a good camp. William Dawson – Public Relations Officer, Belize Diabetes Association: We see the camp as a very important feature that is provided by the Diabetes Association because there are more and more children popping up with having juvenile diabetes and one of the things that we observed is that there is still a taboo look at what diabetes is and how it’s affecting us as a nation and what the Diabetes Association is geared to do is build awareness and allow children to learn more about managing their condition. In the past three or so years we’ve lost three of our youths to diabetes and so in 2018 we are taking this even more serious as a threat to our young people and diabetes, we have to let them understand that the condition is life threatening but if it is managed well it you can live a very long healthy and prosperous life with the illness. Some of the participants in the camp had true life experiences to share. Deandre Dawson and Isha Garbutt who told us what it is like living with diabetes. Deandre Dawson: When you get older you want more your veg and learn how to control it more like now I am coming to the camp for so many years, I have learned lots of new stuff and so I have learned more how to control the condition. When I see my friends eating the sweets and drinking the sweet stuff and I go to my water, it’s not that hard for me now that I am older. Most of my friends they help me with the condition so I don’t go for the sweets. Isha Garbutt: Wellbeing a diabetic, it is a struggle, it’s very hard for me because I am somewhat addicted to sweets so it’s hard for me but getting older and learning about my condition daily and every year coming to the camp, it kind of open my eyes to know that there are certain things that I can do and certain things I cannot do so for me to live a better life and a longer life I have to choose the things that I eat wisely but sometimes I don’t but I am getting there. One lesson that I learnt and something that always keeps in my head is diabetes doesn’t have me, I have diabetes so I think the lessons I have learned is how diabetes can mess up my entire body and my organs and how I can treat myself or eat the right thing so that cannot happen. 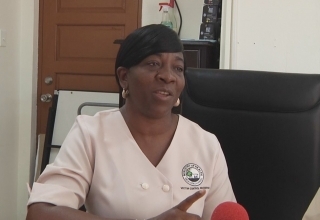 Diabetes is one of the top five leading causes of death in Belize.